Lyme disease is the commonest tick-borne infection in Europe, and the fastest-spreading. There are, however, some other infections in parts of Europe which can be spread by ticks. Not all of these infections are spread by the same types of ticks that carry Lyme disease. Most of them can be transmitted by various means, not only through tick bites. 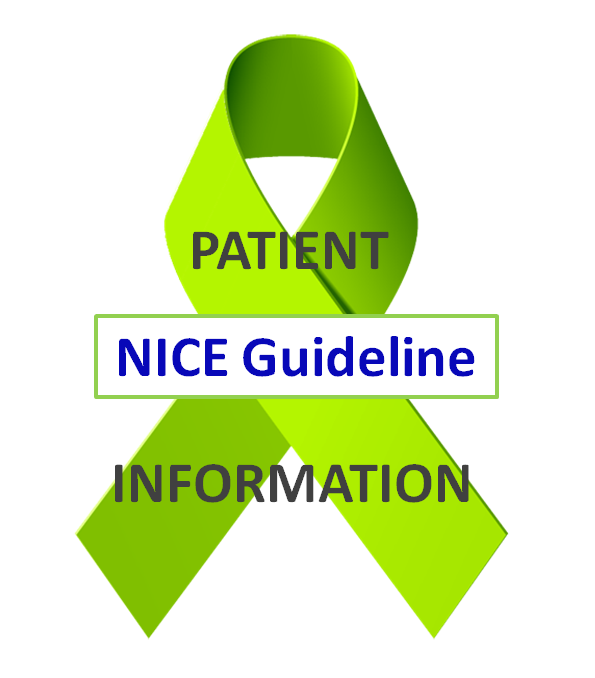 It is recommended in the NICE Guideline for Lyme disease that, if a patient is not cured after two courses of treatment for Lyme disease, a consultant may evaluate whether testing for other tick-borne infections would be appropriate. This will be dependent on whether there are symptoms of these other illneses, and it is only very rarely necessary. It is not recommended that people diagnosed with Lyme disease are routinely screened for these other infections; they are too rare for this to make sense. Ticks in the UK can carry Lyme disease, anaplasma and Q-fever (Source: Public Health England). These are all bacterial infections. Anaplasma is a gram-negative bacterial infection from the rickettsiales genus which affect white blood cells. How is spreads: Both can be transmitted through the bite of an infected tick, through blood transfusions or organ transplants and they can also be fatal in immunosuppressed patients. Areas: Regions of danger include Britain, Europe and the US. Symptoms: Symptoms include confusion, exhaustion, headaches, abnormal gait, ulcers, anorexia, abdominal pain, muscle pain (in particular shoulders and hips), fever, rashes, flu-like symptoms, jaundice, nausea, sweats, photophobia, conjunctivitis, enlarged liver, enlarged spleen, elevated liver enzymes, low white blood cell count, low platelet count, anemia, myocarditis, renal failure, respiratory issues. Q-fever is a gram negative intracellular infection caused by the bacteria Coxiella burnetii. How it spreads: It can be transmitted by a tick bite, by consuming contaminated animal products (unpasteurised milk) and by being exposed to infected animals’ wool, fur, hide, blood, urine, sexual fluids, amniotic fluids and placentas. It can also be transmitted by handling contaminated soil or animal bedding. Q fever can be transmitted sexually and from mother to foetus. It is highly contagious. Areas: Europe. In 2009 there was an epidemic of Q-fever in the Netherlands. Symptoms: Symptoms can include fevers, weight loss, muscle pain, sweats, muscle pain, joint pain, headaches, chills, confusion, dry cough, respiratory issues, nausea, gastrointestinal disturbances, mengioencephalitis, pneumonia, granulomatous hepatitis, liver enlargement, endocarditis, retinal vasculitis. People can have Q fever and be asymptomatic but it can also cause chronic disease often involving cardiac complications and can pose risks during pregnancy. Several tick-borne illness exist in different parts of Europe. Some can be transmitted by ticks but also by other means. A type of Rickettsia called variously Mediterranean Spotted Fever or Bottoneuse fever, but which also goes by numerous other names, occurs in all Mediterranean regions and can kill humans within a few hours. The World Health Organisation has highlighted Tick-Borne encephalitis (TBE) and Crimean-Congo Haemorrhagic fever as being particular risks in the WHO European region (Source: European Centres for Disease Control (ECDC)/World Health Organisation (WHO)). Tick-borne relapsing fevers, established in Africa, are recently being occasionally diagnosed in parts of the Mediterranean as well. Rickettsia requires urgent treatment with antibiotics but some other infections are viruses; in all cases, these can be life-threatening infections and hospitalisation is necessary. If you are bitten by a tick while on holiday and develop a rash or a fever, seek medical attention as a matter of urgency. Mediterranean spotted fever, also called Bottoneuse fever and various other names in different regions, is a form of rickettsia caused by the Rickettsia conorii bacterium. How it spreads: It is spread by the brown dog tick, Rhipicephalus sanguineus, which is a different tick from those which spread Lyme disease. Areas: Rickettsia conorii is found in most of the regions bordering on the Mediterranean Sea and Black Sea, Israel, Kenya, and other parts of Africa, and India. Symptoms: Around seven days after being infected, the disease manifests abruptly with chills, high fevers, muscular and articular pains, severe headache, and light sensitivity. The location of the bite forms a black ulcerous crust (called a tache noire). Around the fourth day of the illness, a widespread rash appears which develops progressively and may look like blood pools under the skin. The illness can easily be fatal and must be treated with antibiotics as a matter of emergency. Tick-borne encephalitis is a viral infection belonging to the flavivirus genus. This infection affects the central nervous system. How it spreads: Apart from tick bites, the disease can also be spread from animals to humans, with ruminants and dogs providing the principal source of infection for humans. Areas: TBE cannot be caught in the UK but it is found in Europe, excluding the Mediterranean, and spreads as far as Russia and into Asia. Between 5,000 and 12,000 cases are reported in Europe each year, according to WHO statistics. There is a safe and effective vaccine against this illness. Symptoms: Although TBE is most commonly recognized as a neurological disorder, mild fever can also occur. Long-lasting or permanent neuropsychiatric consequences are observed in 10 to 20% of infected patients. Flu-like symptoms, fever, headache, fatigue, muscle pain, meningitis, encephalitis, cognitive dysfunction, seizures, photophobia, paralysis can occur. People can recover from the infection after a period of approximately a week but in some cases, more serious symptoms and complications can occur. Crimean-Congo hemorrhagic fever (CCHF) is caused by infection with a tick-borne virus (Nairovirus) in the family Bunyaviridae. How it spreads: CCHF is spread by Ixodes ticks and also from one person to another through blood contact or body fluids. Numerous wild and domestic animals are hosts for this illness and it has sometimes spread throughout hospitals because of poor hygiene measures. Areas: Crimean-Congo hemorrhagic fever is found in Eastern Europe, particularly in the former Soviet Union, throughout the Mediterranean, in northwestern China, central Asia, southern Europe, Africa, the Middle East, and the Indian subcontinent. Symptoms: Symptoms begin suddenly with headache, high fever, back pain, joint pain, stomach pain, and vomiting. Red eyes, a flushed face, a red throat, and red spots on the palate are common. Symptoms may also include jaundice, and in severe cases, changes in mood and sensory perception. As the illness progresses, large areas of severe bruising, severe nosebleeds, and uncontrolled bleeding can be seen, beginning on about the fourth day of illness and lasting for about two weeks. Fatality rates in hospitalized patients have ranged from 9% to as high as 50%. The long-term effects of CCHF infection have not been studied, but recovery is slow and long term symptoms may occur. There is no vaccine against this illness but antiviral drug treatment may be helpful. Tularemia is an intracellular infection caused by the bacteria Francisella tularensis. It is highly contagious and must be treated with antibiotics. How it spreads:Tularemia is a disease of animals and humans caused by the bacterium Francisella tularensis. Rabbits, hares, and rodents are especially susceptible and often die in large numbers during outbreaks. Humans can be infected through several routes, including: Tick and deer fly bites, Skin contact with infected animals, Ingestion of contaminated water, and Inhalation of contaminated aerosols or agricultural dusts. Areas: Tularemia is endemic to the USA but isolated outbreaks have been reported in some parts of Europe including Kosovo and Germany, and Australia. 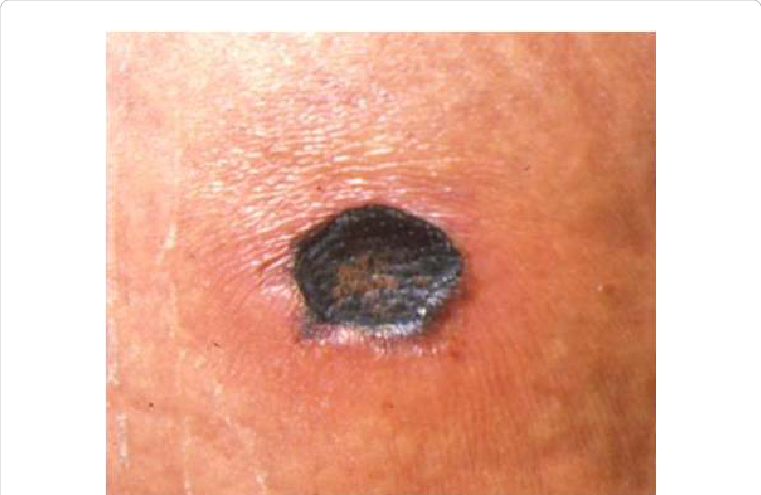 Symptoms: Those infected may notice a lesion which then forms a papule/ulcer and which has a black base. Tularemia can cause very severe pneumonia. Other symptoms include pneumonia, fatigue, signs of sepsis, skin ulcers, swollen glands, runny nose, chills, fever, headache, gastrointestinal issues, nausea, ulcers, conjunctivitis and other opthalmological symptoms. DISCLAIMER: Caudwell LymeCo charity shares public domain information, which it believes to be reliable, in good faith. It should never replace the advice of a qualified physician with a licence to practise medicine. If you believe any information on this website to be incorrect, you are invited to contact the charity using the Contact page.